Home Food for Thought Between the Headlines How vegan-friendly is your wine? 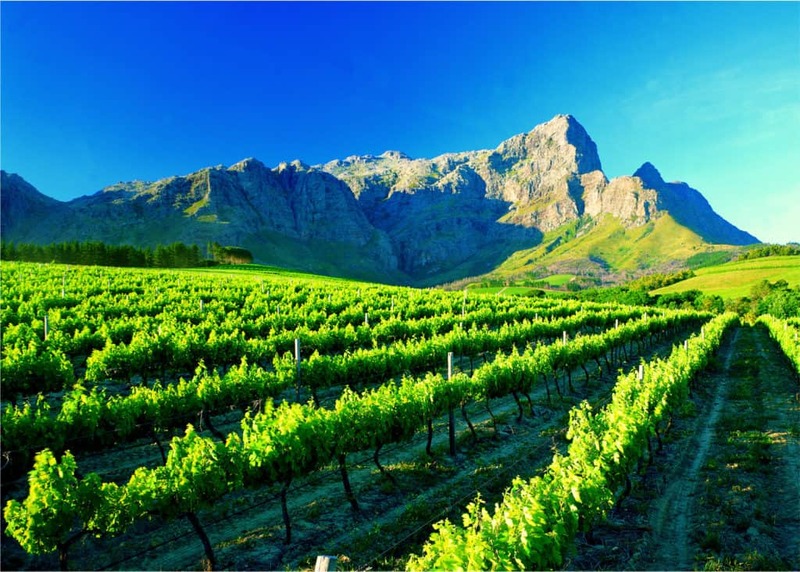 A vineyard near Franschhoek in the Western Cape. Wine is made from grapes, so all wines must be vegan-friendly, right? Not necessarily. More and more people are on the lookout for vegan wine. Until recently, however, kosher wines were the only wines reliably made without the use of animal by-products. Increasingly, however, other winemakers are starting to produce vegan-friendly options. Traditionally, winemakers would use animal-sourced by-products to clarify wines in a process called “fining” to remove unwanted elements in the wine which make it appear hazy or cloudy. These unwanted elements chemically bind with the fining agents to settle at the bottom of the tank or barrel and are then removed to leave a bright, clear wine. Animal-sourced fining agents include casein (the protein in milk), albumin in egg whites, gelatin from animal bones or cartilage, and isinglass (the collagen protein in fish bladders). The kosher wine-making process, as prescribed by Jewish custom, uses no animal-based fining agents. Jean van Rooyen is the winemaker at Zandwijk Wines in Paarl, South Africa’s only exclusively kosher wine producer. “At Zandwijk we work under supervision of the Cape Beth Din. A mashgiach (official who supervises the status of a kosher establishment according to Jewish religious dietary laws) is always present when we work with the wine, including bottling and labelling,” says Van Rooyen. Zandwijk Wines in Paarl is South Africa’s only exclusively kosher wine producer. At Lourensford in Somerset West, Cellarmaster Hannes Nel and his winemaking team have started producing vegan-friendly wines by replacing the animal-based fining agents. “Environmental sustainability is at the core of what we do. It’s not difficult to make a vegan-friendly wine, it just comes down to the choice of the fining agent during the winemaking process,” he says.